Go to Plugins > Add New in the Dashboard of your site. Click on the Upload Plugin button from the top, select the downloaded ZIP file and Install it. Now in the Widgets page a new widget called Social Icons by WPZOOM will be available. Yes, contributions are highly appreciated! The source code is available on Github. You can submit new icons, fork the project or test the beta versions. You can also translate the plugin into your language here. Yes, you can donate any amount via PayPal on this link or purchase any of our themes. Please Note: Being a free product, this plugin is distributed as-is without official support. Verified customers however, will have access to support for this plugin in the Support Desk. For more information see the plugins page in the WordPress.org Plugin Repository. Anyway, some Icons are missin (for example, Mixcloud). Could you add full support for them? How come I can’t add or move the existing social icons? I only have access to the default facebook, twitter, and instagram, and when I click on the add more button, nothing happens. Is this just me? Can this be fixed? Probably there is a conflict with a plugin installed on your site. Can you tell us what plugins you have active, or try to deactivate all of them, and then try to activate them back one by one, until you find the one that cause this problem. Hi, I know this was a super old post but I’m having the same issue (no options at all) and it occurs even with all other plugins disabled, any ideas? Version 3.0.9 with latest Inspiro 5.5.1 theme. I have exactly same issue ! I tried to add 5 icons with links .. but it shows only 2 icons and 3 hiding icons ?! Can you provide more details? Link to your website or the theme you use? I just wanted to mention though: The page on the wordpress site says ‘Support for custom icons’ but unless I’m missing how to do it, you cannot upload your own custom icon. All you can do is select from the paged icons. I don’t feel this can be called ‘Support for custom icons’. Other than that, it’s a good plugin. Hi, how do I remove the dot beside each icon. Hello, it is a very nice plugin, thank you so much! Is there a way to add some space between the icons in the layout where they are vertically below each other with the description next to each icon? The icons are now stacked on top of each other with only very little white space in between. there is problem when we display quora icon with font awesome icon set. Quora is missing with socicon icon set.Please update the plugin . I have installed the plugin WPZOOM Social Widgets and activated it. Now what do I do next to get a Facebook icon to show on my website – just the Facebook icon. How can I add Telegram as an icon? Can you confirm if you have a problem with your Social Media plugin please? I am currently not able to add any icons, rather it defaults to a question mark with a black background. Hello)) please add mywed.com icon! I can’t get this plugin to download! It fails every time I try! I’m using the Athemes Moesia (Free) theme and want to use your widget in the Above Header widget area. Besides the Facebook, LinkedIn, Email icon links I want to add a Tel:0845952481 and skype:karl_benn icon that will action a phone call or skype call when the link is clicked using a device that supports this service. Great Plugin.Super easy to navigate.Thank you. Quick question.Can we add whatsapp icon? Plugin looks great, is there anyway I can make this vertical? Just enable the option “Show icons label”. I have the same question. Is placing the icons horizontally an option? I really like the appearance of the icons; there is some great customizability with them. But not being able to place them horizontally is kind of frustrating. This is something affected by the styling for lists of your current theme. If it doesn’t help, I recommend you asking for help the author of your theme. hey! I just saw that the social icons in your footer are centered. How did you do it??? Thanks!! I took a look at http://www.socicon.com and noticed that there are several icons I’d like to use such as the Playstation and Overwatch icons, but I can’t find them in the Widget menu when typing in “Overwatch”, “Sony”, or “Playstation”. What am I doing wrong? Is there a library where I can scroll through and just click on the icon I want to use or do I have to use specific words in order to get them to appear? I just updated the plugin, and now it includes Playstation and Overwatch icons. 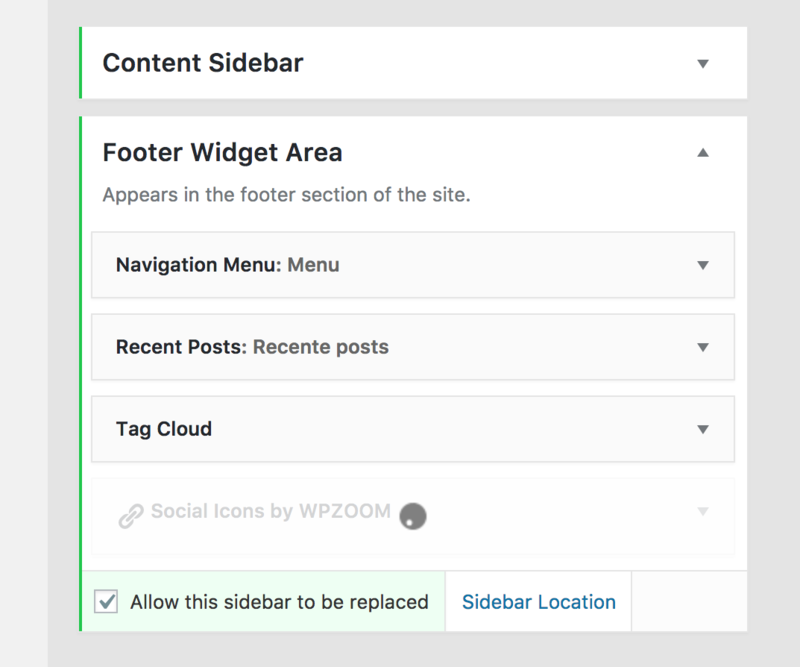 If Socicon adds icons how long does it typically take before they are added to the WPZoom Social Widget? Just let us know which icons you need and we’ll add them in the plugin too. We’ve updated the plugin and added these 2 icons in it. It looks like there are supposed to be new icons but when we updated the plugin only a little rectangle is showing and no icon in the list with all of the other icons. Hard to explain without a screenshot. Which is the link that i need to insert for message or call on skype? I want to have labels with the icon, but I also want them to all line up Left (not centred). I’m putting it in the footer widget, is it possible to make them left aligned? Thanks for wonderful plugin! Have one question. Is it possible to add “nofollow” tag to links? How can I do this? We’ll add an option to add this parameter to all links in the next update. We’ve updated today the plugin, and it includes such an option. Possible to setup WhatsApp to call? Can I use it for Weibo or Wechat? https://uploads.disquscdn.com/images/4d7135d9adb679cba9d3a74291c8dd95e39b1ca6affaa00a23804abdf71e2cd3.png I want to remove the Twitter icon from my WPZoom widget, but when i do this it doesn’t seem to save the changes and the WPZoom widget in another sidebar gets stuck on the loading signal. How can i succesfully remove the icon? Hello, It could be a plugin conflict. Can you tell us what plugins you have active on your website? Or maybe you can try to deactivate all of them except our Social widget and check if that helps or not? Usually, outdated plugins are the one causing conflicts with other plugins. Can you also email us your website admin login details via the contact form from our website? Hi Pavel. I’ll check for outdated plugins using the plugin, thanks. Why do you ask for my website admin login details? Seems strange (for security reasons) to give these out. If you know a better way we could help you, just let me know. Usually, it’s much easier for us to login and check what could cause the problem, instead of trying to guess different possibilities. Of course, you are not required to send us your login details, if you don’t feel comfortable sharing them with us. De-activating the outdated plugin (it was only one) didn’t work. 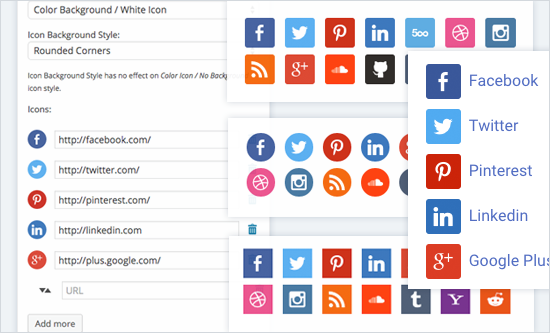 I still couldn’t delete one of the social media icons in the existing widgets on my site. The only solution was to delete all of my widgets, and create new ones. I love these options provided by your plugin “WhatsApp, Viber, Skype, Email, Telephone”. Do you have LINE social network? If the answer is no,could you add it in the future? We’ve just added Line.me icon in the new version 3.0.8! I don’t find the LINE icon. Could you tell me where to find it? Thx. I just made a quick update version 3.0.9. Please update and the icon will be available. Hello,I search for line but didn’t find anything. Try to type “line.me” in the field of an icon, and if it’s still doesn’t appear, please delete and re-install the plugin. Sloved. Thank you very much. The 3.0.8 update added labels on the icons, even if you have labels disabled. Could you take a look into it. Marijan, you’re right. This is a caching issue which can be fixed by a hard refresh or you can update the plugin to the newest version 3.0.9, which I just released to fix this problem. Thank you, it works as expected now. Could a Mixer icon be added? also we do some reviews and post them to Letterboxed and would love to have one for that also just don’t see the icon anywhere, may have to be something custom done, would make it if I knew how to. Hi! Just installed your plugin. It’s great! Only thing I found missing was the inability to center align the icons. I just have 3 icons that I want to show and they are all left aligned by default. It would be nice if there was an option to align the icons in the sidebar too. You can do that with some custom CSS code. It depends on the theme you use, but adding the text-align: center property usually helps with aligning the icons. Hi there, I just started using your widget. We have set up plug ins for our social media platforms and they all work properly, aside from Facebook which is taking users to the WPZoom fb page, rather than ours… please help me with this. How can I add it to the plugin? Is there a way to create or add in an icon that does not exist within the plugin ? If you add it, please let us know. Thank You So Much Friend, I just installed your plugin. It’s great! Only thing I found missing was the inability to center align the icons. I just have 3 icons that I want to show and they are all left aligned by default. It would be nice if there was an option to align the icons in the sidebar too. Thanks for your suggestion! We’ll add such an option in the next plugin update. i added the facebook icon andgave it a url however if i hover over the icon and click on it nothing happens however if i click on it with my right mouse button i can open a new page which is the facebook logon page. However i would like to click with my left mouse button on it to get my facebook opened. Can you give us the address of your website? Or at least tell us what theme you’re using? Probably this happens because of your theme, so I also recommend you to ask your theme developer for help. My website is on the local disk for now. 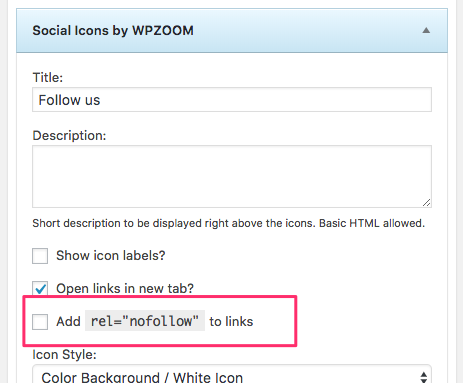 I am trying to remove WPZoom links in Social Icons plugin but fail. Also, I failed to remove unwanted icons and add my own icons and links. It is an excellent plugin and I want to use it. But there is a problem it just saves 3 social links at the same time. I am trying to insert the 4th one but it is not saving the sidebar widget. Can anyone help me? Maybe this is a caching issue? Have you tried to clear/flush the cache? When I add the fourth 4th it keeps loading while saving the 4th one in sidebar widget. I am unable to add more than 3 links. Maybe it’s a caching problem in your browser? We have just upgraded to WP 5.1 and PHP 7.2, and our previous social media widget is no longer working properly (and I don’t believe it’s going to be updated). [ We are working on our “staging” site to try to make your plugin work ]. On our staging site, we have yours installed (and we deactivated “Social Media Widget”). The icons only display in a vertical ‘column’ (whether it is none, left, center, or right alignment), and the colors are not correct (all the actual icons are all grey, not white). 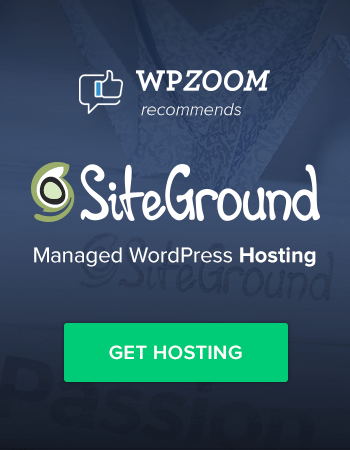 Can you send us an email to hello@wpzoom.com with a screenshot or a link to your staging site so we can see the problem? Thanks for this plugin it works fine ! Do you think you can add an option rel=”noopener” or rel=”noreferrer” ? As you have done with the option rel nofollow. It is one of the recommandation when I measure my site with web.dev. Sure, we’ll add such options in the next plugin update.